Our 3-hour workshop will have you painting like a pro in no time! 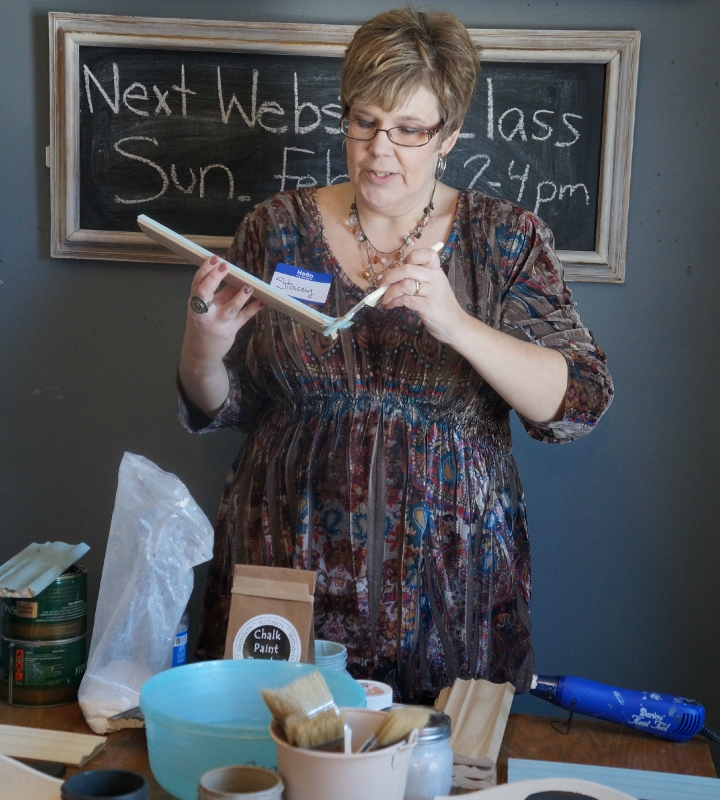 We will show you how to properly prep your furniture, learn to use Country Chic Paint as well as Websters Chalk Paint Powder products. You will be taught 3 painting techniques, as well as painting a take home project. You will also receive 15% off any paint or paint accessories within a week of the class. Classes are taught in our workshop with small class sizes to give everyone the best experience possible! Reserve your spot today by registering below and then click submit! A non-refundable, prepayment is required to attend and a minimum of three attendees registered. Make your payment by clicking the 'Buy Now' link!